Work to ensure safety by maintaining the bridge which carries the M4 over the A308 Windsor Road at Bray continues this week. Narrow lanes are in place on the A308 beneath the bridge until Friday 22 March. Work to replace sections of damaged safety barrier near Longparish starts this week. 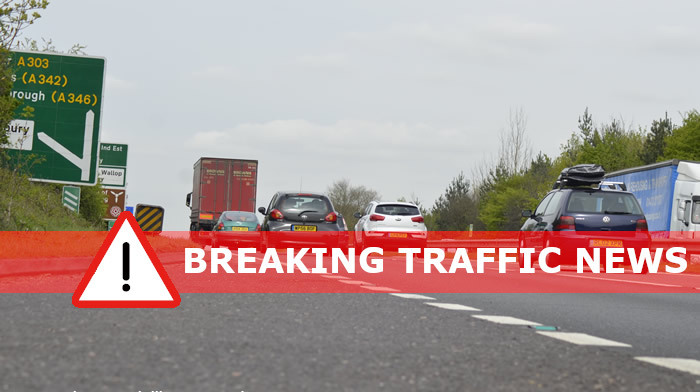 Lane 1 of the eastbound carriageway, and the slip roads at the Longparish junction will be closed overnight, between 9pm and 6am, from Monday 4 March for five nights. Clearly signed diversions will be in place via Totton and the A326, and via the A3057, Romsey and A3090. Work to maintain journeys and ensure road user safety by replacing the Romsey Road bridge near junction 3 continues this week. A 50mph speed restriction is in place on the M27 east and westbound carriageways beneath the bridge until autumn 2019. Work to improve journeys by converting the M27 into a smart motorway continues this week. 24-hour narrow lanes and a 50mph speed restriction will be in place until 2021. Work to ensure road user safety by maintaining the central reservation safety barrier continues this week. Lane closures will be in place on the M27 eastbound and westbound carriageways overnight, between 9pm and 6am, until Friday 22 March (Monday to Friday only). Work to resurface a section of the A3 between Eashing and Shackleford continues this week. The A3 southbound carriageway will be closed from the A31 Hogs Back to Milford overnight, between 9pm and 6am, until Friday 8 March. A clearly signed diversion will be in place via the A31 and A325. Work to improve safety by installing average speed cameras on the A3 northbound carriageway at Guildford and widening the southbound slip road at the Stoke Interchange continues this week. The A3 northbound carriageway will be closed from Compton to the Stoke Interchange overnight, between 9pm and 6am, until Tuesday 5 March. A clearly signed diversion will be in place via the B3000, the A31 Hogs Back and Guildford. In addition, the southbound exit slip road at the Stoke Interchange will be closed overnight, between 9pm and 6am, until June. A clearly signed diversion will be in place via the University Interchange. Work to ensure road user safety by maintaining the street lighting at the Ockham junction continues this week. The southbound carriageway between the slip roads will be closed overnight, between 9pm and 6am, until Tuesday 19 March (Monday to Friday only). Traffic will be diverted down and across the junction. Work to resort a milestone along the A31 near Bere Regis takes place this week. Temporary traffic lights will be in place on the A31 overnight, between 9pm and 6am, from Monday 4 March for 5 nights. Work to construct a bridleway alongside the A404 between Hurley Lane and Bradenham Lane, near Bisham, continues this week. The northbound exit slip road to Bradenham Lane will be temporarily closed until Friday 8 March. Traffic for Bradenham Lane will be diverted via Bisham Roundabout and Temple Lane. In addition, a lane closure on the northbound carriageway will be in place overnight, between 9pm and 6am, until May (Monday to Friday only). •Get into the correct lane in good time – don’t keep switching. •Concentrate on the road ahead, not the roadworks. •Be alert for works’ traffic leaving or entering roadworks. •Keep a safe distance – there could be queues in front. •Observe all signs – they are there to help you.